Anamen limited together with EasyWin Mobile applications concepts are the creators of EasyWin Games or herein after referred to as ‘EWG’,or (‘our’ ‘we’ or ‘us’) provide a mobile games platform with an actual reward system to MTN subscribers all over the world. The EasyWin app is only available on android devices at the moment. EasyWin Games ‘EWG’ at the moment is only available on the MTN Network. Both original MTN numbers and ported numbers now on the MTN network are eligible to install, to play any games featured in the EasyWin Games App and otherwise benefit in all available ways from our services. 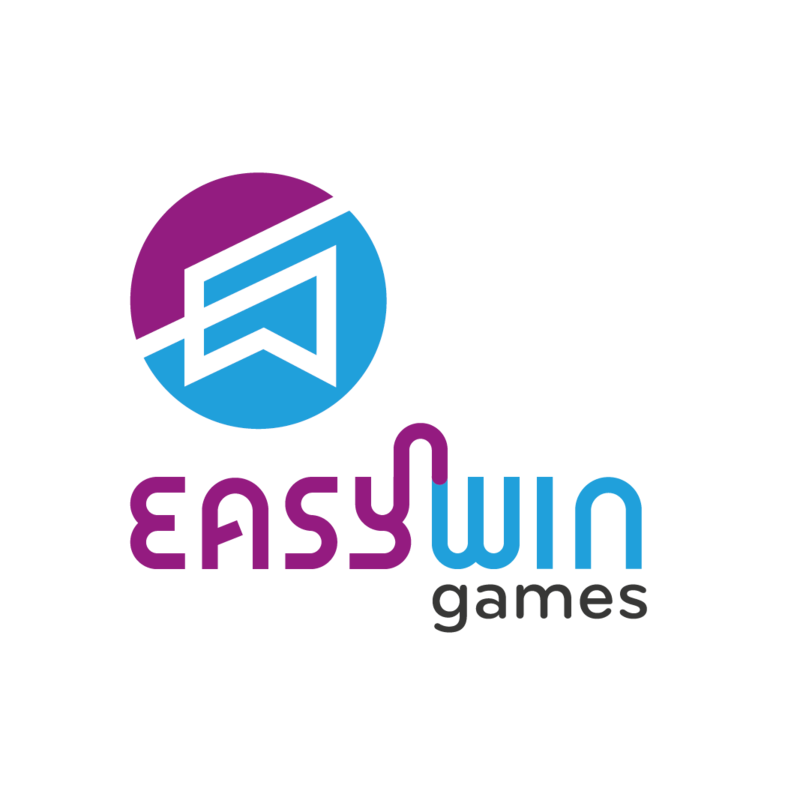 EasyWin games app is only available on android devices. When you install the EasyWin app it comes with a number of popular games i.e. Whot, Ludo, Draughts, etc., which you can place wagers (“bids”) on when you compete against other players in real time . The games can also be played without having to bid anything. The wagers can only be placed using Bidcoins which when needed to play games with bids, will be converted from regular call credit to its equivalent value at the rate of One Naira of call credit to One Bidcoin. Whatever winnings you have can then be redeemed back to call credit less administrative charges of Ten Percent (10%) of the amount of bid coins to be redeemed back to call credit. To Register with EasyWin Games ‘EWG’ you have to download and install our app on you mobile device from our website www.EasyWingames.com or download our app from Google play store and create an account with us (“EWG Account”) by providing your mobile number, a username (optional), email address (optional), gender (optional), photo (optional) and a password; issued by the system (“Login Information”). You shall not share your EWG Account or your Login Information, nor let anyone else access your account or do anything else that might jeopardize the security of your account. You are solely responsible for maintaining the confidentiality of your Login Information, and you will be solely responsible for all uses of your Login Information, including any Bidcoins Request/Conversion, In-App Purchases, Service Charges, or other changes to your EWG Account and or EWG Account status, whether or not authorized by you. EWG will not be responsible for anything that happens through or to your EWG Account or EWG Account status as a result of you allowing any third party to access your Login Information or EWG Account. A short code ‘2017’ will be provided by the MTN network in addition to a subscription fee to begin enjoying the EWG experience. EWG reserves the discretionary right, to restrict, suspend, or terminate your Account or your access to any or all parts of the EWG Services at any time, for any or no reason, with or without prior notice, and without liability, including in the event we stop offering any aspect of the EWG Services. We expressly reserve the right to restrict, suspend or terminate your access to any part of the Services if we determine, in our sole discretion, that you have violated any of the terms of this Agreement. To enjoy EWG services the user is responsible for ensuring that their mobile device is suitable and software is up to date to run our app. The user is responsible for having a good internet connection on their mobile device to run our app and enjoy our services. The user must have a valid registration with EWG and the app downloaded on a suitable device. All necessary subscription fees must have been paid and valid as per terms and conditions concerning that. User SIM must be operational on the MTN network. You will comply with your obligations to third party mobile platform providers, such as Google, MTN from whom you download our EWG App, including any terms regarding payment for In-App Purchases and Service Charges made through such platforms. You will not attempt to obtain login information or access another user’s account or collect or harvest personal information from other users. You will not exploit, distribute or publicly inform other users of any EWG Service error, miscue or bug which provides for an unintended advantage or allows impersonation of another person, including by use of automated collection mechanisms such as clear graphics interchange formats (“gifs”), cookies, or similar technology. You will not harass, threaten or bully any other users, nor post or submit any abusive, threatening, bullying, harassing, obscene, defamatory, offensive, pornographic or illegal content, or content that infringes or violates the rights of someone else, or impersonates any other person. You will not use EWG Services for any unauthorized commercial purpose, including but not limited to commercial advertisement or solicitation (such as chain letters, junk e-mail, “spam,” or other repetitive messages), or gathering or transferring In-Service Content for sale. You will not use or design cheats, exploits, automation software, bots, hacks, mods or any unauthorized software designed to modify or interfere with a EWG Service experience. You will not disrupt or attempt to disrupt EWG Services or any other person’s use or enjoyment of EWG Services. You will not attempt to gain unauthorized access to EWG Services, to accounts registered to others, or to networks from which portions of EWG Services are provided, including by circumventing or bypassing robot exclusion headers or security mechanisms for EWG Services. You will not use any software that accesses, intercepts, “mines,” or otherwise collects information from EWG Services or that is in transit from or to EWG Services. Except where permitted by law or relevant open source licenses, you will not modify, reverse engineer, decompile, disassemble, decipher or otherwise try to derive the source code for EWG Services. You will not copy, modify or distribute content from EWG Services except as specifically authorized by us. You will not advocate, promote, encourage, or otherwise facilitate any illegal behaviour. Failure to comply with this Code of Conduct may result in the suspension of your EWG Account and other strict legal actions. EasyWin Games collects (i) information, content or other material that you provide to us or is otherwise transmitted in or through EWG Services you access or which is generated, acquired or developed when you download, install, or use the EWG App or anytime you are in contact with us and (ii) information you receive or which is transmitted to or otherwise made available to you from other users of EWG Services or third parties in EWG Services (collectively, “Service Information”). We collect the following list of information including but not limited to; your full name, your location, your valid email address, your phone number, your gender. We collect visitor’s data which helps us analyse traffic on our site. This information helps us understand customer interests which helps us make improvements to our website, for instance when you visit our website the pages that you look at, and a short text file called a ‘cookie’ are downloaded to your computer. A cookie is used to store small amounts of information and this information is collected for traffic analysis only. We collect “Usage Data“, which is anonymous data tied to your computer and/or device, such as the actions you take within and outside of the Websites/Apps, the browser you use, the identity of other apps included on your device, the date and time of your use of the Websites/Apps, your game progress, play time, score and achievements, and the URLs you visited and/or apps you used before and after using our Websites/Apps. All chats and private messages within our app remain private; we have no access to them and they are never stored on our EWG servers. We use the Service Information in many ways, including but not limited to, to help us provide and support EWG Services and our services. For example, we may use the Service Information for internal operations including trouble shooting, problems data analysis, testing, research to eradicate errors and to detect any fraudulent and illegal activity. You must be at least 18 years old to use our Services (or such greater age required in your country for you to be authorized to use our Services without parental approval). In addition to being of the minimum required age to use our Services under applicable law, if you are not old enough to have authority to agree to our Terms of Service in your country, your parent or guardian must agree to our Terms on your behalf. Our support staffs are on hand to render help and help resolve any issues that may come up while using EWG services, such as; service access, subscription, bidcoins purchase and redemption, please contact us via our website www.easywingames.com or via the support page on the EasyWin Games app. On the EWG website and within the EWG App, there may be some form of advertising content from time to time and you hereby agree to their display which would not be overly intrusive and reduce enjoyment of EWG services. EWG Services are for your personal use only and may not be used in connection with any commercial endeavours except those that are specifically endorsed or approved by us. Any use of the Services in violation of this provision, including communicating any advertisement or solicitation, or collecting usernames or email addresses of account holders by electronic or other means for the purpose of sending unsolicited email or unauthorized framing of or linking to the Services, is prohibited. EWG charges you for the use of our services, all relevant subscription plans apply, we charge you administrative charges of Ten Percent (10%) of the amount of bidcoins to be redeemed back to call credit. You are responsible for all carrier data plans and other fees and taxes associated with the use of our services. EWG Services may contain advertisements, news feeds and other promotional content from third parties, including links to third party websites or vendors (collectively “Third Party Promotions “), some of which may invite you to participate in promotional offers in return for receiving optional services or In-Service Content. Some of these Third Party Promotions may charge separate fees, which are not included in any fees that you may pay to us. Any separate charges or obligations you incur in your dealings with such third parties are your responsibility. We make no representation or warranty regarding any content, goods or services contained in such Third Party Promotions and will not be liable for any claim relating thereto. We exercise no control over Third Party Promotions, and EWG has no responsibility for their content, goods, services, performance, operation, availability, business practices or policies. We are providing these Third Party Promotions to you only as a convenience, and we do not imply any endorsement or recommendation of their content, goods, or services. If you decide to access any of these Third Party Promotions, you do so entirely at your own risk. Third Party Promotions including third party websites are subject to their own terms and policies, including privacy and data gathering practices. Within the app we have virtual items like; themes, power up, lives, bidcoins which can be purchased by using our bidcoins or mobile airtime which you have converted from call credit at one Naira Per bidcoin. Bonuses are free rewards given by EWG to deserving users for referral, to acknowledge their skill and encourage level of performance within the app. Additional Features and Virtual Items can be downloaded in connection with EWG Services for a charge. We assume no liability for purchaser’s errors, trial versions, software purchased for the wrong cell phone, device or platform, promotion codes or discounts not provided at the time of purchase. Once bid games have begun there can be no reversing the process should a user change his/her mind about risking bidcoins on a game. There are no refunds for bid coins that have been committed already for ongoing games. Most user concerns can be handled by contacting our customer support team at support@easywingames.com, in the unlikely event that we are unable to resolve any of your issues and a dispute ensues we each hereby formally agree to resolve any dispute through individual arbitration or mediation which would be binding and not in open court litigation. All materials displayed within EWG Services, including all content, the Virtual Items and the software, graphics, text and look of the site, and all trademarks like EASYWIN GAMES and the titles of all of our Apps), copyrights, patents and other intellectual property rights related thereto (“Proprietary Materials”), are owned or controlled by Anamen limited, Easywin Mobile Application Concepts our subsidiaries or affiliated companies, our third-party licensors, and/or our advertising partners. Unless otherwise prohibited by applicable law, all purchases for EWG Services are final and non-refundable. If you can assert that EWG has charged you in error, you may request a refund within 24 hours of the erroneous charge to enable us investigate the matter properly on its merits and effect any refund which we deem to be necessary based on the outcome of said investigation. This refund policy is wholly discretionary and may be reviewed and removed as the term of use gets updated from time to time.